In his statement before the House Judiciary Committee last week, FBI Director Christopher Wray raised encryption, as FBI Directors do when they go before Congress. His comments on encryption have a really bizarre line, complaining that, “The more we as a society rely on electronic devices to communicate and store information, the more likely it is that information that was once found in filing cabinets, letters, and photo albums will now be stored only in electronic form.” The reverse is really the issue: our electronic devices now make it really easy to get and search through what previously might be hidden in a (locked!) filing cabinet. 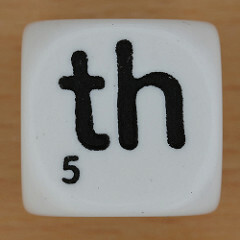 They also encourage us to write in texts what we used to say in phone or direct conversations. So the reality is all this digitalization just makes it easier to engage in one stop evidence shopping with someone’s phone. The more interesting thing, to me, is the way in which Wray’s rhetoric deviates sharply from that of Jim Comey. Comey, you’ll remember, always liked to talk about the “balance” between security and privacy. He used that formulation most times he discussed back doors in encryption. And he gave an entire speech on it last year in the wake of the San Bernardino phone challenge. In America we’ve always balanced privacy and security. It can be messy, it can be painful, but we’ve always worked through the three branches of government to achieve that balance in a sensible way. We have to find thoughtful, productive ways to talk about issues of privacy and security, and here’s the thing, by thoughtful I don’t mean that I’m right, and you’re wrong. I could be wrong about the way I assess, the way I perceive, the way I balance, the way I reason, but I think all productive conversations start from a place of humility. I could be wrong. [L]itigation is a terrible place to have any discussion about a complicated policy issue, especially one that touches on our values, on the things we care about most, on technology, on trade-offs, and balance. We are all people trying to do the right thing as we see the right. It is not for the FBI to decide how this country should govern itself. It’s not for the FBI to decide what the right approach is here. Our job is to investigate. Our job is to tell you, the people who pay for us, when the tools you count on us to use aren’t working so much anymore, so you can figure out what to do about that. It’s also not the job of the technology companies to tell us—to tell you—what to do about this. Their job is to innovate and come up with the next great thing, and they’re spectacular at that, which is to be treasured. How we move forward needs to be resolved by the American people, and especially the young who know technology so well, and who care so deeply about getting the hard things right. In his statement, Wray seems to be invoking this Comey formulation when he rejects the entire notion. Wray appears to be rejecting Comey’s (usually false) show of seeking the right balanced between access and encryption, and instead saying a warrant is all it needs. That, in spite of the fact that Congress has specifically stopped short of requiring technical access for some of the applications that Wray and Comey were complaining about. Not to mention the fact that FBI doesn’t ever get a warrant to get to US person content via back door searches or the 2014 exception. Ultimately, of course, the effect is the same: FBI is going to continue demanding back doors into encryption. 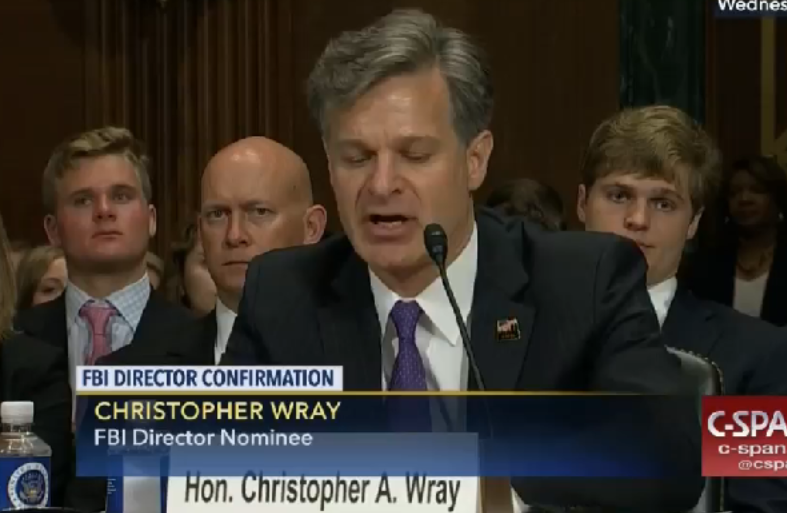 But Wray, apparently, doesn’t even feel the need to feign an interest in the debate.